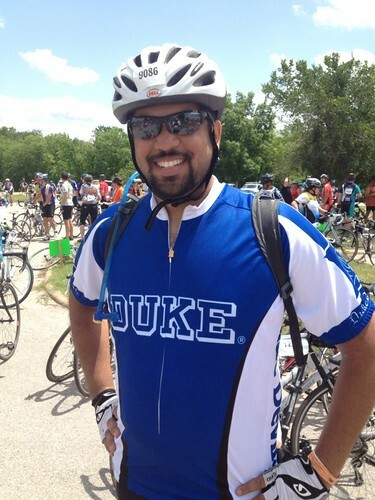 A week ago, I rode the MS 150. 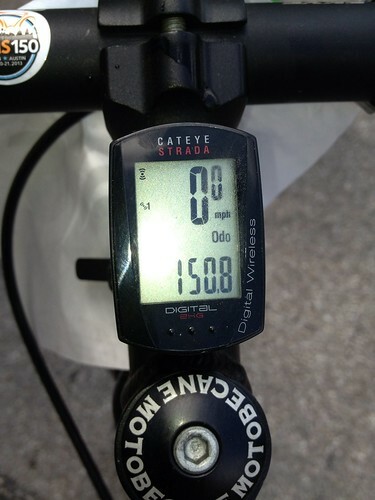 I can honestly say that I never in my life thought I would ride 150 miles on a bicycle. I was proud to raise money for a good cause, but I think from a personal perspective, crossing the finish line in Austin was one of the coolest moments of my life. I've been an arm chair sports fan for most of my life, and I doubt anyone could have at any point in my life ever accused me of being an athlete. I've played basketball with friends. (Some very amazing tournament runs with our IM team in Colorado!) I've done things like playing Saturday morning soccer with friends, but I've never done anything of note in the athletic realm. I've had a number of friends train for marathons, but I never found a sport where I felt that I could really accomplish something. I've never been a runner, so I had zero inspiration to run a marathon. I got a bike years ago and was introduced to the sport of cycling, and I admit that I felt overwhelmed. It came off as a very complicated sport, but I think my introduction to it was over complicated. I just wanted to ride my bike. Cycling has a ton of nuance like any great endeavor, but I think if you get bogged down in those nuances initially, you don’t see the potential of the sport. For years, friends had been bugging me to get back on the bike. 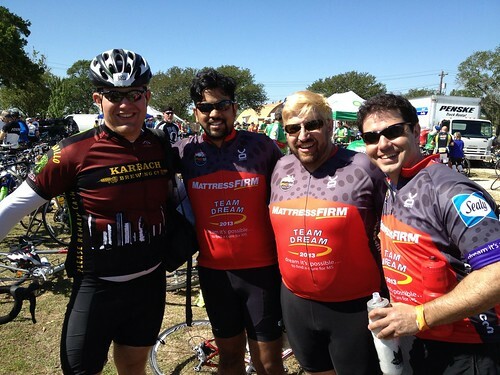 In fact, I had always semi-jokingly said I was going to ride the MS 150… next year. I was finally guilted into riding this year by Joe White, and one night I just signed up. There was a bit of “Oh god! What have I done?” the next morning. I've always tried to be someone who lived up to my commitment, so I dutifully started training. 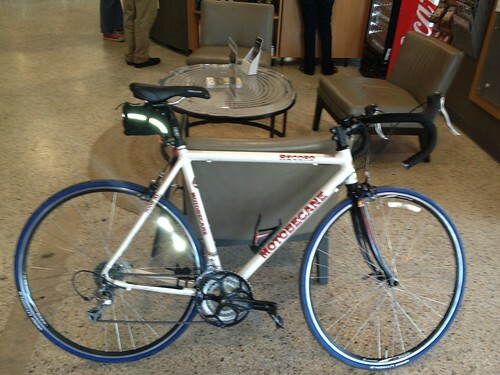 I remember the first ride I went on with Joe and John – I think it was all of 17 miles. I got home and fell asleep. Each ride pushed further in wind and at times, rain, but I had a great group of friends to push me. Traveling to and from Milwaukee made it difficult as I missed a number of weekends, but we kept riding when I was in town. The first day of the MS 150 started out really well. I felt great – probably to my detriment later in the day, but somehow we pulled into La Grange at a reasonable time. We were lucky in that the weather was probably about as perfect as one could hope for. Day two was the big challenge. The last thing I wanted to do was to get back in the saddle after having ridden 85 miles the day before. We got another fast start on day 2, but the hills were much more challenging going into Austin. About 7 miles outside of Austin, I was fading. A guy I had never met had been riding with me for quite a while. He looked at me and said, “Duke! You’re riding well! I've been keeping pace with you since La Grange. How many times have you done this ride?” (I was wearing my Duke cycling jersey that I bought at reunion the weekend before). I said it was my first time on the ride, but that I was really fading. The hills were killing me and I had kept a fast pace (for me) through the ride – primarily because mentally I felt that I had to attack the finish or I wouldn't make it. He reached into a pocket and pulled out a pack of Gu and said, “You’ll make it. I’m certain of it,” and handed me the Gu. I downed it and kept pedaling. I don’t know who that guy was, but I can’t tell you how much I appreciate that kind gesture. The big issue with riding into Austin is that every time you think you are finishing the ride, there is another hill, another turn, and more pedaling. It was amazing to me that the closer I got, the more I felt I had to focus on the basics - pedaling and attacking hills. When I finally reached the finish line, I wasn't quite sure what to think. It was a rush of emotion - from the excitement to having finished to the tiredness of having ridden that far. There was also a let-down. Oddly, I thought the moment would be bigger. I realized that because of the preparation and the work-outs, I finished in a much stronger fashion than I ever thought I could. My overall pace for the ride was 15.1 mph. It was 45 minutes later when I saw my friends at the bar after the ride that it really hit me. The sense of accomplishment and relief washed over me. I broke out into a huge grin. I have to say – I’m now addicted to riding. I’m ready to get on my bike in Milwaukee.